Leahy was initially sentenced to life in prison after being found guilty for 2007 killings near Baghdad. Mayo, who had pleaded guilty to premeditated murder and conspiracy to commit premeditated murder had received a 35-year sentence under a pretrial agreement. In June of 2009, Sgts. Leahy and Mayo were granted clemency and received reduced prison terms in a ruling by of Brig. Gen. David R. Hogg. The fact remains, however, that our troops and their families are in jeopardy in the complicated matrix that prevails in combat zones, political correctness and political expediency. 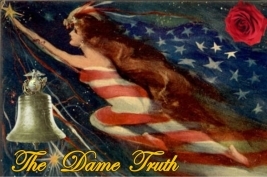 Tonight’s “Kicking Back” will serve as a prologue to Monday Night’s “The Dame Truth” which features Sgt. Tim Harrington, USMC and Walter F. Fitzpatrick III, as they delve into some of the issues that lie at the heart of these tragic stories.